Social media has become a daily part of so many lives. Think about it: your friends and colleagues have a smartphone, tablet or laptop, used to access their Facebook, Snapchat, Twitter or other social media accounts. OK, so use is not uniform – and probably never will be, but there are a very significant number of social media users out there. With the number of digitally-reared Millennials firmly embedded in the workforce, and an increasingly influential Gen Z, the number of social media users will continue to rise. Many organisations, however, are governed by older leaders, members of Gen X or Baby Boomers. They can be less appreciative of the benefits of social media in the workplace. As they move aside a new cadre of leaders will take their places who will have a deeper understanding of the power of social media and its possibilities. When the organisations they lead begin to harness the power of social media their organisations will reap great benefits. An important business orientated variant of social media to emerge in recent years is Social Recognition. It can be implemented across an organisation and configured to offer a Facebook-like social media platform. As its primary function is recognition, it will be used to say ‘Thanks’ to colleague for a job well done. These messages of thanks can be expressed in terms of an organisation’s values. Social recognition also allows the value statements hanging on the boardroom wall to be place at the beating heart of an organisation. An organisation’s values can then be used to drive its cultural vision. Social Recognition: How does it Work? 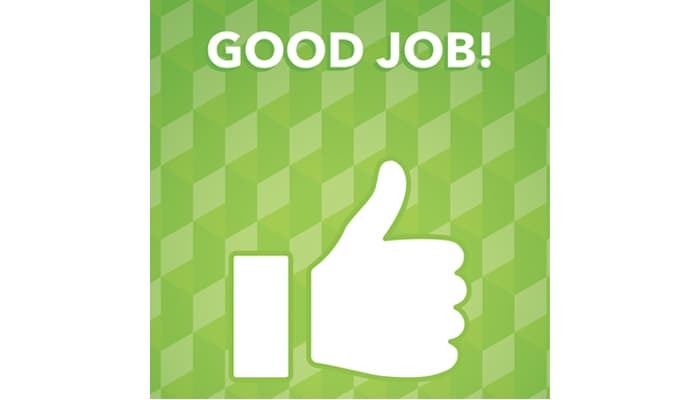 A social recognition solution – like Kudos Social Recognition, is deployed using existing desktop/laptop computers, tablets. Its support will be further enhanced by allowing access via an individual’s smartphone. When someone sees a colleague doing something which merits thanks they use social recognition to say what the thanks is for and how it links to organisation values. Then they send the recognition message, which will be seen not just by the recipient but by the whole company. Recognition and appreciation can rapidly form a virtuous circle: those who receive thanks comment to those who recognised them, thanking them for having noticed their work. Such a ‘Thank you’ is a powerful thing! It is further magnified if your social recognition platform allows others to see you have received recognition: especially if it is the boss who is thanking you or can see that you have received recognition. Taken together, these three essentials help to build an organisation into an increasingly caring, healthy community. A well put together social recognition solution provides good news stories, creates moments of celebration and drives the behaviours an organisation wishes to develop. This benefits both members of staff and the organisation as a whole. Ultimately, it benefits the customer, and if the customer is happy your bottom line will be smiling, too! These positive features of social recognition create further benefits including a supportive and nurturing working environment that colleagues valued and wished to remain part of. It also contributes to the well-being of colleagues: a ‘Thank You’ a day helped to keep the doctor away. Furthermore, ‘social’ was used to support the communication of organisational values and other initiatives. In essence, the use of social recognition supports an organisation to become not just a good work-place. It builds a great place to work! If you are interested in learning more about recognition, especially social recognition – or if you want a free recognition audit, you can contact Paul (paul@giftinnovations.ie) or Ann (ann@giftinnovations.ie).